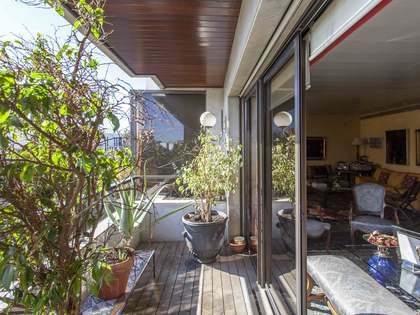 Lucas Fox offers an exclusive range of El Pla del Remei real estate for sale and rent, including stunning penthouses set within unique Modernista buildings, charming apartments, renovation projects and upmarket family homes. 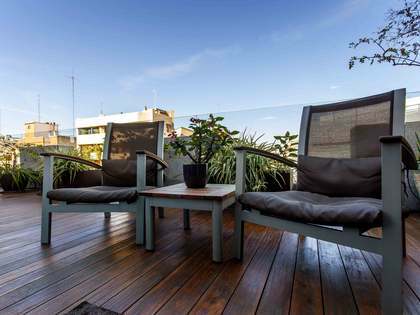 Upmarket El Pla del Remei is a neighbourhood within Valencia's Eixample in the city centre, surrounded by the popular neighbourhoods of La Xerea and San Francesc to the north, Mestalia to the east, Gran Vía to the south and the trendy Ruzafa neighbourgood to the west. 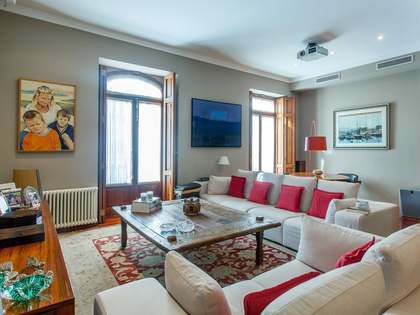 El Pla del Remei is a much coveted area to live in Valencia due to its convenient proximity to many of the city's key attractions, including the Town Hall and Calle Colón, Valencia's most significant shopping street and fifth most expensive street in Spain. It is a vibrant commercial area, with many fantastic department stores (including El Corte Inglés), shops, bars, restaurants and places of interest. Calle Colón stretches all the way to the Turia, joining the city's famous riverbed at Plaza Porta de la Mar, where the "Porta de la Mar" (gate to the sea) sits atop a gargantuan roundabout. The impressive archway was built as a replica of the original Puerta del Real (Royal Gate), which stood at the entrance to the city from the Puente del Real, one of Valencia's historic bridges. 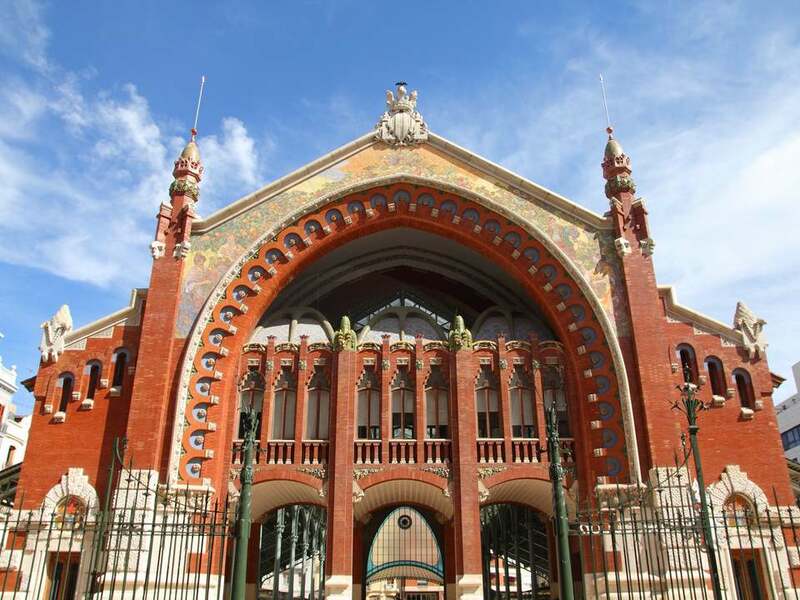 Mercado de Colón is set within a majestic Modernista building with an extremely impressive façade. Today the market is home to a variety of cafés and bars, with a gourmet food market downstairs and is a real foodie hotspot. 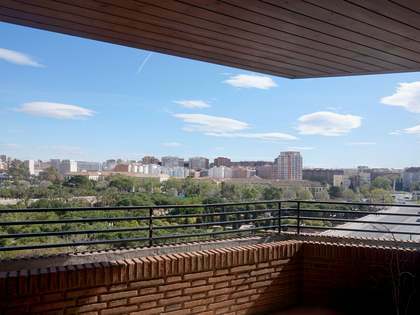 Residents of El Pla del Remei enjoy many lifestyle benefits, including a vibrant gastronomy scene and proximity to green spaces including the La Glorieta Gardens and the Turia Gardens, a fully landscaped, green stretch of parkland that meanders through the city centre for 9km. Set within the dried riverbed of the former Turia River, it takes around 45 minutes to stroll its length and with many cycling routes, modern sports facilities and picnic spots, the park is hugely popular and is a much loved fixture of daily life in Valencia. El Pla del Remei also has excellent public transport links, with the Colón metro station being the second most frequented in Valencia (lines 3 and 5).